Recently my husband and I enjoyed a week of sun and fun on the 9th Annual Marketer’s Cruise, where we were part of a group of 450+ business owners and marketing professionals on a ship in the Caribbean for networking, meeting new friends, and spending time with old friends. Don’t blast everyone with your message, whether via email, social media, or even by dropping your business card by every room associated with the event (yes, someone actually DID that! At least we knew who to steer clear of!). Don’t add anyone to your mailing lists who didn’t specifically asked to be added, and especially don’t go through the directory and/or addendum to add people who included their email addresses as part of their profile. No overt selling, unless it comes up in conversation that someone tells you directly they are interested in your products or services and they specifically request to know more. Believe me, people will tell you if they are interested in what you have to offer and then the door is open. 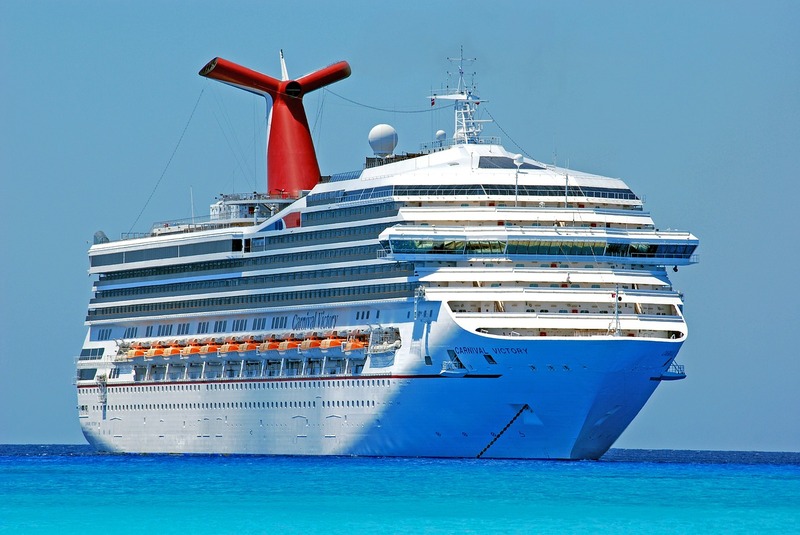 The rules are made very clear both in welcome messages sent to each cruiser separately and to the group by means of our private Facebook community, as well as spoken out loud several times on the ship itself by the group coordinator and travel agent, Captain Lou. The rules boil down to STOP selling and see how you can help add value to someone else’s life. That’s where things get fuzzy. How exactly can you add value? What if, as you’re going through the directory of all the people who attended, you read a bio of someone you didn’t meet on the ship (easy to miss many folks when there are more than 450) who, based on their info looks like they could be a great fit for what you offer? How can you take the conversation off the ship and outside of the Facebook community to see if there is some interest? 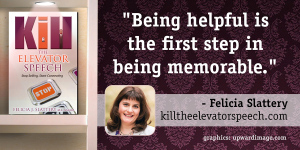 Well, as the author of “Kill the Elevator Speech: Stop Selling and Start Connecting,” I have a few ideas about this particular topic. So, is it considered “cruise spam” for my husband and I to have received the same exact “buy my stuff” private Facebook message from someone neither of us is friends with here and someone neither of us had any conversation with? Or is that just to be assumed as “follow up” (albeit it bad form & poorly done) by someone in a group of marketers? Overall I’ve been impressed with the personal follow up and connection, but now I just feel like I need a shower. And then our fearless leader even chimed in, Captain Lou himself, saying others may also be able to benefit from my thoughts. And here we are! How you connect with others after a business event of any kind, depends completely on the kind of interaction you had while at the event itself. What follows are my suggestions for how to do that in a way that builds a relationship, whether you buy from each other or not. This one is the easiest by far. If a person says, “I’d like to talk more with you about this after the event,” that’s your open door. Send an email, private message, or make a phone call to talk with that person more. In the message or at the beginning of the conversation remind the person how you met and a little about your conversation. At longer events and/or where there are hundreds of participants, while we all like to think we are memorable, it’s nice to help the other person connect your name and your face with a reminder of your conversation. However do NOT simply add that person to your email list without asking first. Better yet, give that person your card and tell her how she can add herself to your list if she would like by offering something for free, for example. Situation 2: Met the person, hung out for a little while, but business didn’t come up or no direct interest was expressed in what you do. “Hi John! I really enjoyed hanging out with you at the shore excursion to the Mayan ruins on Belize. I’m sorry we didn’t run into each other much the rest of the cruise. First, I wanted to send you this photo I took of us [or of you and your wife or whatever…]. Second, I had a few minutes to visit your website today and it looks like you’re up to some cool things. I loved your blog post about [be specific about something on his site that you really did like so he knows you’re not just spamming; actually comment on the blog post first. Or watch a video and comment. You get it.]. That got me to thinking we never did get around to talking about business. I don’t know if you had a chance to look at my website, but it’s YourWebsite.com and I thought, if you’re up for it, I’d love to talk to you about what you’re working on. Maybe there’s someone I can connect you with, or a project you’re working on that I might be able to offer help with in some way, and vice versa. What do you think? Of course I understand if you’re busy, and either way, it was great to spend some time with you and look forward to talking more soon! I would not send a link to my calendar at this time. Yes, it would save time if the person wants to say yes, but it presumes too much. If the person emails back yes and does not send you his calendar link to schedule, then send yours. If the person replies back with a no thank you, or a not right now, then stay connected on social media. Situation 3: You did NOT meet the person or you met only in passing. With hundreds of people, it’s not likely you will meet everyone. But if you’re looking for leads from the event and don’t want to offend anyone, or worse, get banned from the group, here’s one way to connect. We didn’t have a chance to meet each other / or have a conversation on the recent marketers cruise, and now that I’m looking through the directory of attendees, I’m wishing we had. Although between my hubby and I loving all the fun shore excursions and the shows on the ship, I didn’t get to Pizza and Profits until later in the evenings. I’m really sorry I missed you, because as I was reading your entry in the directory you mentioned that you’re looking for help with [be specific, using the same language they used] and that’s just what I do for my clients. If you want to know a little more about me, you can see me on page 268 of the addendum. 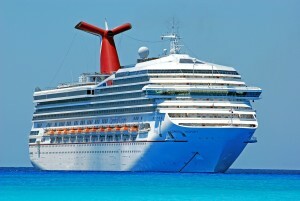 I even created a special gift just for cruisers called, “The Marketers Cruise Guide to Speaking and Profits.” You can pick that up for free at http://FeliciaSlattery.com/cruisegift. I took a few minutes to visit your webiste [blog, LinkedIn profile, YouTube channel] and really like how you [be specific and give an honest compliment]. Also, I noticed a couple of things you could quickly and easily change that might make a big difference for you. I made you a super short video showing you what I mean that you can see privately here [use Jing or another screen capture video to add value by sharing immediately or don’t make a video, but offer a suggestion.] I’m actually doing a free webinar on that next week / or / if you’d like to talk a little more about it, I’d love to connect now. You may not hear back right away, or at all. If this person seems like a good fit, you can copy the same message into a social media private message or email (whichever you didn’t use the first time) and suggest that with all the filters in place, you wanted to be sure the person received your message. If you don’t hear back again, and the person honestly looks like a good fit for what you do, move them to your offline direct marketing campaign path and send a print newsletter, your book, a post card, a direct response letter, or something else. Make it personal. Make it about them. Offer a specific solution to a specific problem they may have. Situation 4: You want to know more about someone’s services (without feeling spammed). No one likes to feel sold to, but everyone like to buy things, especially things we want and need. If you meet someone you think has a product or service that could help you, you can simply join their email list to see what they send, connect and follow them by paying attention on social media, or if you’re ready for the “big guns” of sales that some marketers use, tell them directly and ask for an appointment to talk more about your needs. Before the conversation, be clear on what EXACTLY you need, how you want it delivered, and what your budget is. Then it’s your job to see if the product or service is a good fit for your needs and the business owner should be listening to you to determine if you are a good fit for them. DO NOT: Have an assistant copy and paste the same generic message over and over again, whether it’s in email or on social media. Even if it sounds sort of personal or is written by someone who knows how to write copy, it’s still spam. DO NOT: Send unsolicited “here’s my free stuff” messages without any reason related to the person you’re “reaching out” to. DO NOT: Treat anyone as a number or just “another lead.” Every number in your funnel represents a person; a human being with needs and wants, hopes and dreams. They deserve to be respected, even if they don’t want to buy from you. Finally, I’ll end with a story. My husband, Brent, and I met a wonderful couple, Dutch and Vanessa, on the cruise. We spent several evenings chatting, hanging out, and just having fun. If you’ve been married for any length of time, you know it’s rare to find couples friends, where the husbands have things in common, the wives have things in common, and even the opposite husband and wife have things in common. That was us with Dutch and Vanessa. Doing business is about creating authentic connections and real relationships so we can help each other succeed. Anything else just makes you look like a jerk out for only yourself. Great post Felicia, and timely for me, having just got home and beginning the process of following up after the cruise. Its amazing how many people you don’t get to meet in a group that big, even though I tried to connect as much as possible. I’m so glad I met you at Jim’s mastermind session as we didn’t cross paths in the other activities. I really appreciated your encouragement and the pearls of wisdom you gave freely with enthusiasm and wit in the mastermind sessions. Your energy and willingness to help is refreshing. Glen and I would love to get to know you both better as we move forward in internet marketing and hopefully next year on the cruise we will be able to follow that up in the flesh 🙂 looking forward to using your signature speech wizard to craft my message. Thank you so much, Michelle! Glad to hear you made it back down under safely. I had such fun in the mastermind meetings with Jim and really enjoyed hearing about your business ideas and helping you formulate some really cool plans. Following my blog is one way to get to know me better for sure 🙂 I’m also happy to hear you plan to use the http://SignatureSpeechWizard.com for your messages. Yay! Great post, Felicia. I too received what appeared at first to be a personal message, but it was from someone whom I did not get to meet in person on the cruise. I did indeed feel as though I needed a shower when it became obvious that it was simply spam, though very nicely communicated, lol! Thanks for your well considered thoughts. 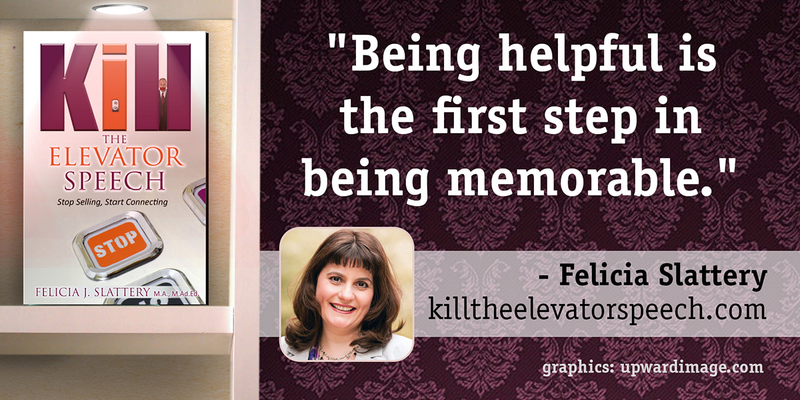 Thank you for these wise words Felicia! I think we have all grown skeptical as we hate spam. Connecting is the beginning of relationships and I appreciate your specific actionable tips!